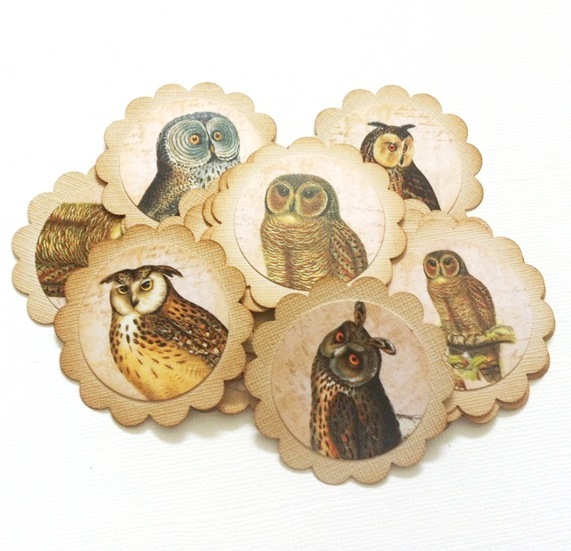 These are variety of beautiful Owl Gift Tags to adorn your gifts and favors. When purchasing this listing, you don’t get just one kind of image but many of them as shown in the pictures. There are laughing owl, barn owl, great horned owl, and many more. 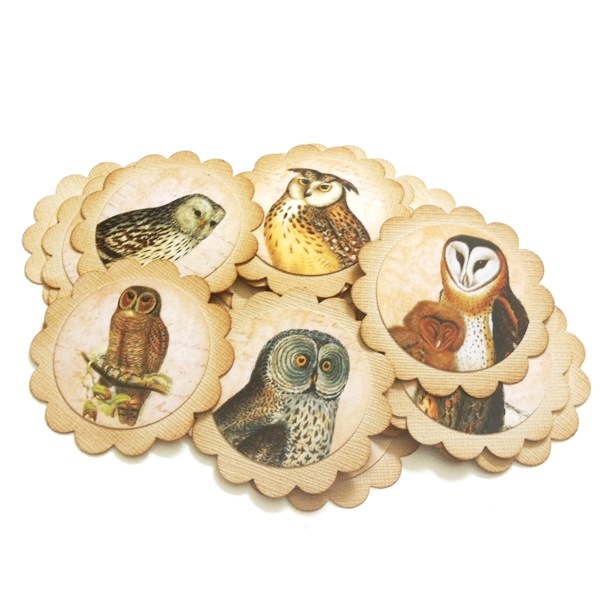 These tags themselves is a perfect gift for owl lover (we know that there are many of them out there, including ourselves). 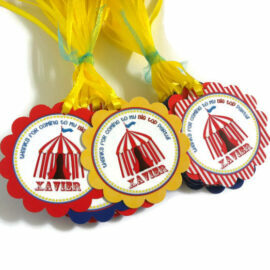 These tags can also be used as scrapbook embellishment. 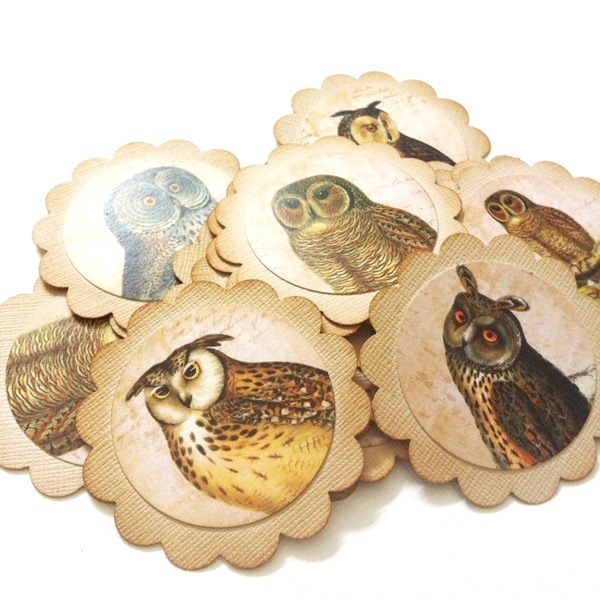 Owl is also a popular theme for special occasion such as a baby shower or birthday. 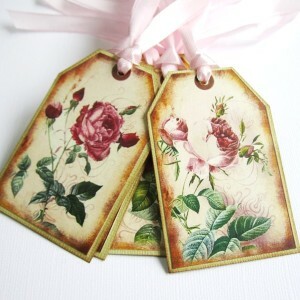 These tags are made with old sentimental or vintage feel in mind. The writing French script like is placed subtly as the background of the image. 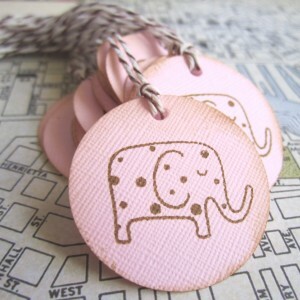 Each image lays on a beautiful scalloped circle beige/ cream textured cardstock, distressed to give a wear and old look. 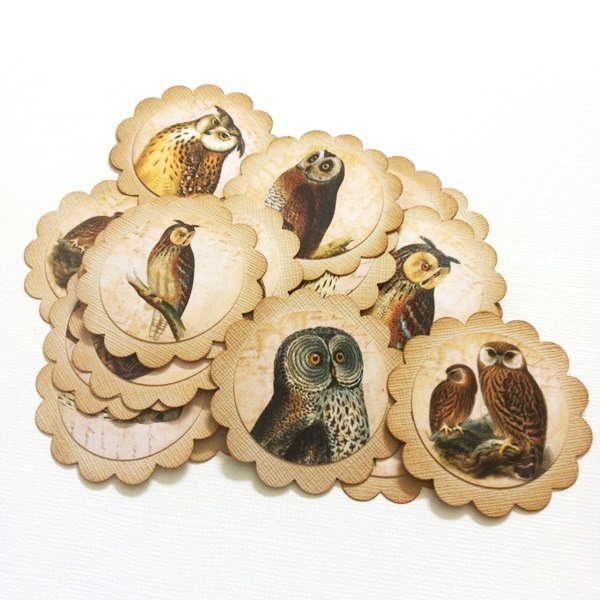 In each listing, you will receive 12 (twelve) Owl Gift Tags. Each tag measures about 2 inch or 5.08 cm. The image resolution is crisp and clear, printed professionally on high quality cardstock. Indicate your party month and date, add the item to your cart. Please check the FAQ section for shipping and production timeline. Should you like to have them pre-strung, please contact us. 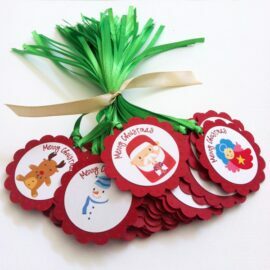 We can do holepunch and have them ready with ribbon with small additional fee. Personalization such as custom text is also available upon request. Personalization is done at the backside of the tag. Please inquire. 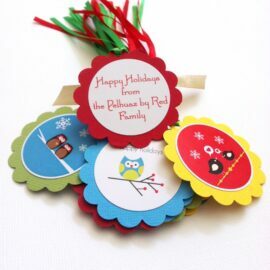 These Owl Gift Tags are featured at ShadowDogDesigns and Cathy Creates.